I spent a good four years thinking whether I was ready for a second baby, even whether we wanted one. Now, we have an adorable bundle of joy, and I'm trying to do things differently this time around, but it feels so unreal to actually have two kids to raise! For now, my mind is an endless list of things to do. It's one diaper change followed by snack time followed by breastfeeding followed by homework, and so on until bedtime. I hardly get time to think, but then maybe it will sink in at some point. What's going on in my head? Here are some of my thoughts as a mom of two! 1. Tired has a new meaning. I thought I was tired when I had one kid. I thought I was tired when I was pregnant and had one kid. But now I have a newborn and one kid, and I'm really tired most of the time. 2. Sleep deprivation was a problem. I used to actively try and figure out how to be less sleep deprived and more attentive to my baby. But now it's just the new normal. It's part of life like everything else. I just sleep when I can. 3. I can finally and casually refer to them as 'the kids' in my conversations! It makes me sound like a veteran mom who knows what she's doing (although she doesn't!). 4. Me time has taken a nose dive. While earlier it was about having my nails done or getting a haircut, it's now about taking a shower and eating warm food in peace. 5. My level of alertness has gone way up. I'm constantly moving from the needs (and demands) of one to the other. Sometimes, I'm managing both at the same time. It's exhausting! 6. I'm already comparing them. This is the one thing they tell us not to do with siblings. And yet, I can't stop thinking about how different or alike they are. 7. I'm coping better post partum. With the second birth, it's easier to accept how things will go. My post-pregnancy body does not shock me like it did the first time. I'm eating without abandon because I know I'll probably lose some weight breastfeeding. My doughnut and I are good friends! 8. I've realized that babies are good at adapting. I was constantly worried about how I would manage the eating and sleeping schedules of two kids five years apart, but it's the baby who has surprised me by adapting to our routines. 9. Your 'newborn' remains one for a shorter time the second time around. You don't wait any longer to continue with your life like you probably did with the first. The baby goes along almost everywhere the older one is going. 10. 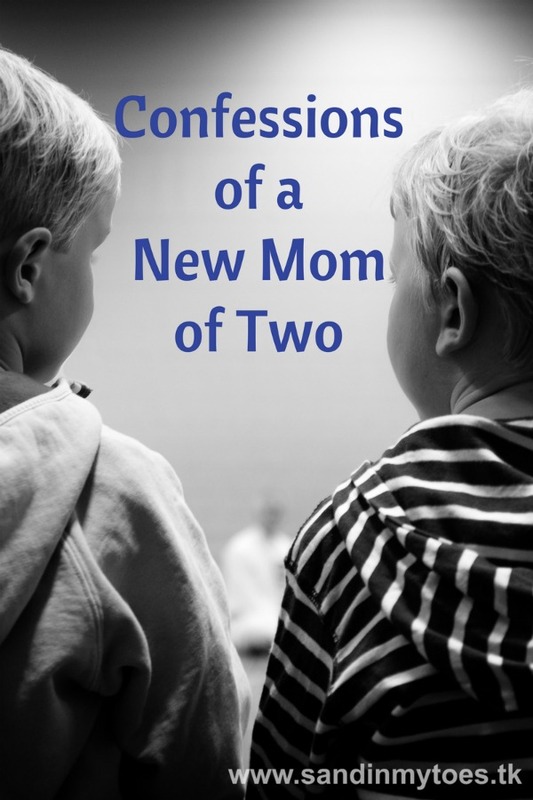 How will I love two kids? I asked this question to myself many times during my second pregnancy. But now I understand that a mother's heart can expand exponentially to love two or more kids. It just happens naturally!